CAD MicroSolutions has announced an expansion to their product portfolio with a new PCB design tool from Altium, the creators of the industry-leading PCB design software Altium Designer. PCBWorks is created specifically for collaboration with mechanical designers using SolidWorks®, and includes a number of features to link design data between electrical and mechanical environments. 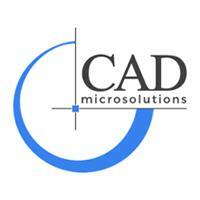 PCBWorks is available now to purchase through CAD MicroSolutions. An ECAD/MCAD project collaboration server that links SolidWorks® mechanical models to electrical data into a single managed project. Changes made to either side of the design process can be pushed with a managed Engineering Change Order Process. Parasolid file format natively support in SolidWorks® allows electrical designers to link directly to models for enclosures and component bodies for precise visual accuracy in Native 3D. Extracted copper information from board assemblies provide mechanical designers with more simulation options in SolidWorks® including thermal, vibration, and mechanical simulations.